This episode of Found Footage Files podcast we review The Phoenix Incident (2015) a found footage film and mockumentary about the Phoenix Lights, the most famous mass U.F.O. sightings in US history. 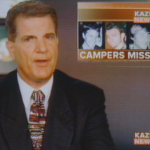 The night of the incident, four Phoenix residents vanished and only their video cameras were recovered. What really happened during that infamous night in March 1997?